Avoid accidentally changing your data with Period Locking. Period locking allows you to protect your accounting data to prevent accidental or unexpected changes. This is commonly used when records up to a particular point in time have been verified, such as the end of the fiscal year. 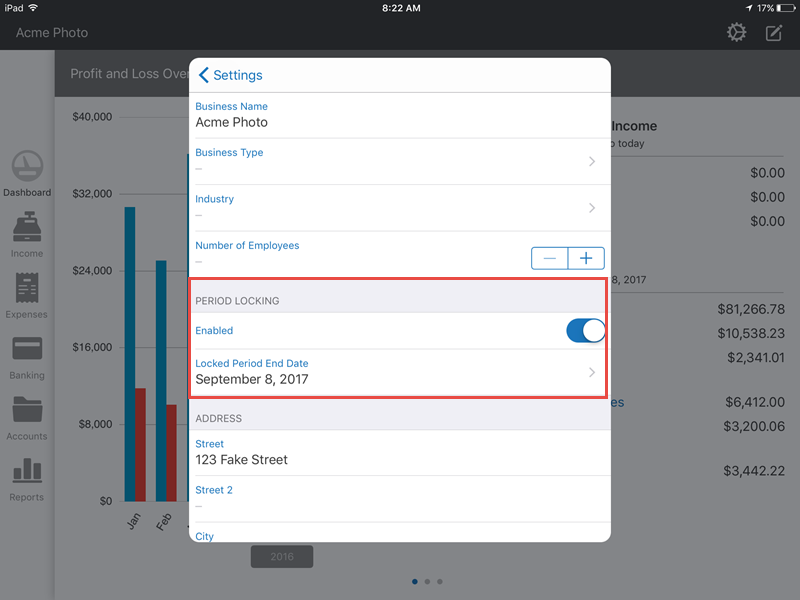 A user can lock the data to ensure that the records won't change for all dates up to and including the end of fiscal year date. 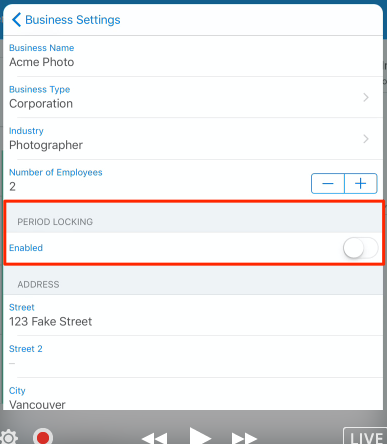 Period locking ensures data accuracy and prevents users from spending countless hours in locating a record that has been added, edited, or removed in error after a period is closed. It provides accountants and bookkeeping professionals with confidence knowing that their clients are starting at a point in time that has good, clean data that matches their records. If you have the iOS app, you can also enable/disable period locking. To manage your period locking, go to the gear icon. Toggle on and off period locking. 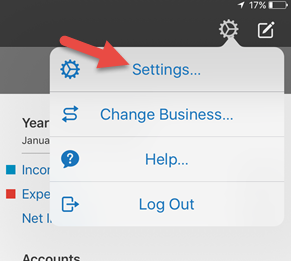 When period locking is enabled, you're able to change the period locking date. Once your period lock end date has been set up, you will receive an error message if you to try to add, edit, or remove a record up to and including that date. 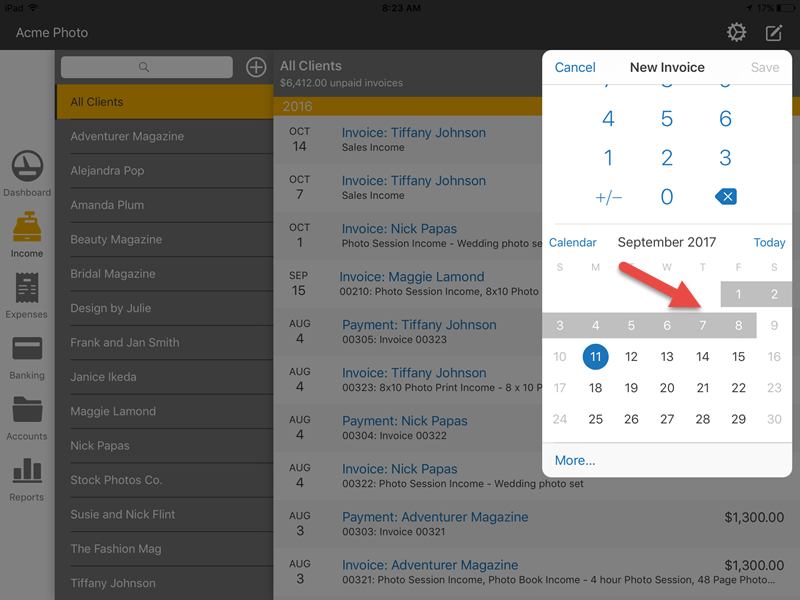 When you add new transactions the calendar will not be available for the locked period. When you try to edit a transaction in a locked period, you will get this error message. 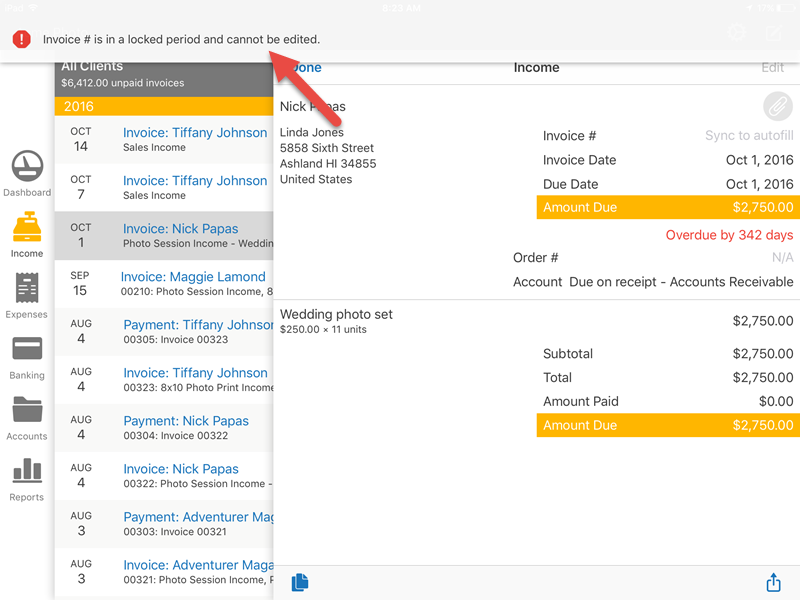 You can still perform actions on records that won't result in a change to the data, such as emailing an invoice to a client.